A storm of excitement is filling the air while an old champion is rising to reclaim the world it invented. It might be a bold statement, but Halo and Halo 2 invented console shooters and console multiplayer as we know it today, but others has stepped up to take it away. I don’t know if Halo 4 has the momentum behind it to reclaim the throne from Call of Duty, but it would be a nice Cinderella story if it did. Get your Doritos and Mountain Dew ready because Machinima is riding the bandwagon once again, too. The first part of their live action web series, Forward Unto Dawn, is now available to view on YouTube. 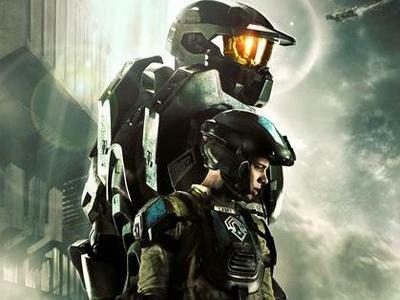 The series follows the lives of a young squad of UNSC soldiers during the early days of the war with the Covenant. These aren’t just simple fan videos; rather, they are high quality productions filed with excellent digital effects, high production value and decent acting. We’ve got one more month to go to see if this old clunker has what it takes to swing against the hot young kids and their annual releases, and already Halo fever is starting to hit the internet. Not to speak ill of this monster Activision and EA are bringing to the brink every year, but doesn’t Halo just feel more like a “video game.” Something iconic, something cultured, something that resonates with us more than shooting through recycled human character models? Something that awakens gamers to actually care beyond simply playing the game? Doesn’t its release just feel more like an actual event that matters? Just look at this web series. You don’t see anyone going out of their way to create something so awesome for just any old series. A huge budget, lots of effort, and plenty of man hours were put into this live-action series to pay tribute to nothing more than a video game. That’s respect. Very few iconic series have the power to do that anymore, but Halo is one of them. Funny thing is, I’m not even that big a fan.